Rhenus PartnerShip has taken over Czech inland waterway shipping company ČSPL in November to expand its European inland waterways presence. ČSPL’s transports bulk commodities, containers and project loads on all the European inland waterways. “We’re certain that we’ll be able to expand our market position as we work together,” said CEO of ČSPL. Milan Raba. “By acquiring ČSPL, a.s., we’re planning to continue expanding our presence on European inland waterways. 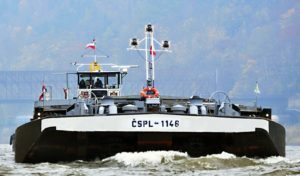 ČSPL, a.s., which operates more than 30 vessels and has many qualified workers, fits into our existing business activities very well,” said Thomas Maassen, spokesperson for the managers of Rhenus PartnerShip.